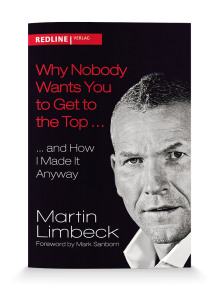 “Why Nobody Wants You to Get to the Top – and How I Made It Anyway”: In his most recent book, Martin Limbeck sheds light on his personality and tells the unembellished story of how the modest kid from coal country rose to become a top sales professional and selling authority, and continues to inspire fans and customers as an author, speaker, and sales trainer. While others opted for the well-trodden path, Martin Limbeck has used his rough edges and staying power to achieve everything he dreamed he would since he was a sixteen-year-old kid shoveling snow in America’s driveways. Martin Limbeck’s big breakthrough in the German-speaking sales world came in 2005 with his polarizing book “Das Neue Hardselling – Verkaufen heißt verkaufen. So kommen Sie garantiert zum Abschluss” (The New Hard-Selling – Selling Means You Must Sell. How to Seal Your Deals). In contrast to the hard-selling era of the 60s and 70s whose motto was “sidle up, seduce, slip out,” Martin Limbeck brought about a change in the area of closing-oriented selling. In the new hard-selling approach, he combines a focus on closing deals, long-term customer loyalty, and the creation of strong, human relationships. From the hard-selling expert Martin has evolved on many fronts, and this is clearly reflected in his subsequent bestsellers. 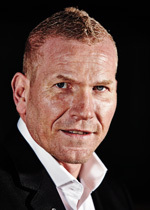 Martin Limbeck is an international sales authority and sought-after keynote speaker, dubbed “The Porsche of Sales” by the press. With his best in-class German Sales Engineering approach, he helps sales professionals seal more deals. Fast-paced, driven, and passionate about sales, Martin inspires his audiences to reach the next level in their professional development. Drawing on real-life sales experiences, he talks about successes, challenges, and lessons learned. His high-octane storytelling is captivating, and it is obvious that he has a big heart for sales professionals and a true interest in their success. Sales is Martin’s life. He started his professional career selling photocopiers. As a trainer and entrepreneur, he has trained and inspired sales professionals in twenty-one countries for more than twenty years. The Certified Speaking Professional (CSP) was the first German to speak at the National Speakers Association’s convention in the U.S.A. He has been honored as Top Speaker of the Year 2014, International Speaker of the Year 2012, and Trainer of the Year 2011 and 2008, and was presented with the meeting and event industry’s Conga Award in 2010 and 2009. He gives 150 speeches and seminars per year around the globe, teaches at Reutlingen European School of Business, Steinbeis University Berlin, and St. Gallen University, and has published several books in various languages. He is the cofounder of the Sales Leaders team of top trainers and a member of Club 55, the European Community of Experts in Marketing and Sales. In spite of all his success, Martin has kept both feet firmly on the ground. His family is sacred to him. To unwind, he favors fishing, running, mountain biking and skiing, all of which he can enjoy amid the tranquility of nature. In addition, Martin regularly engages in fitness and boxing training. As an avowed Eintracht Frankfurt fan, soccer is a great passion of his. Martin lives in Wesel, Germany.